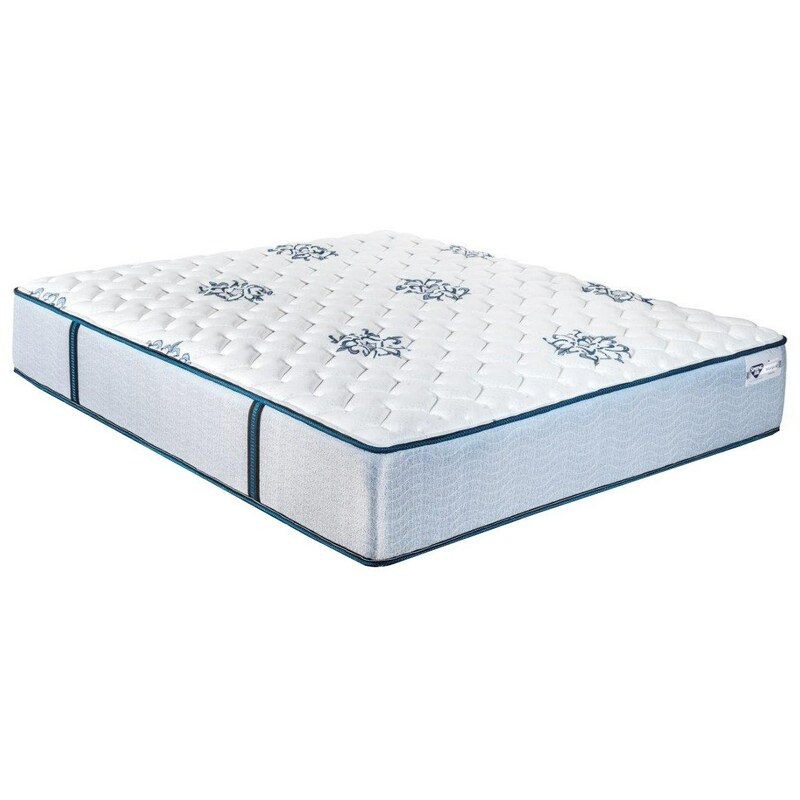 The Marigold F Queen Firm Pocketed Coil Mattress and Surge Adjustable Base with Massage by Spring Air at Zak's Home in the Tri-Cities, Johnson City, Tennessee area. Product availability may vary. Contact us for the most current availability on this product. Get the sleep you deserve with this Marigold Firm mattress from Spring Air. The Extended Life Foundation and the Support Sense Zoned Encased Coil System provide all the support you will need while also helping to reduce motion transfer. Two 1" Layers of Gel Infused Support Foam add to the support while a Gel infused Memory Foam Insert provides pressure relief, which is great for your core and back. Finally, a 1 1/2” Extra Firm Quilt adorns the top of this mattress for extra durability and breathable, cool comfort. This Marigold Firm mattress is perfect for a stomach sleeper. The Marigold F collection is a great option if you are looking for Mattresses in the Tri-Cities, Johnson City, Tennessee area. Browse other items in the Marigold F collection from Zak's Home in the Tri-Cities, Johnson City, Tennessee area.